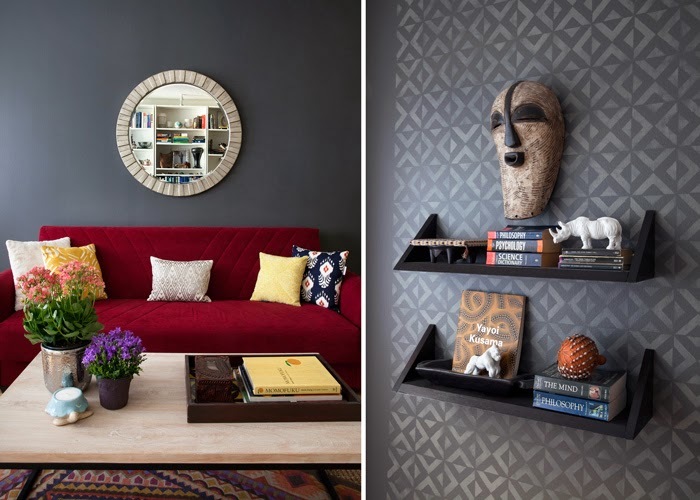 Loving how much this red couch pops out against the dark gray walls and the random artifacts and animal decor that can be found throughout this NYC midtown apartment. Interior design by Diana Mui. What color gray paint is that?